The jeweled piece begins with a large turquoise bicone crystal, surrounded with silver seeds. Hanging separately from this, for extra movement and sparkle, is a large, twisted rock quartz, surrounded by black fully-faceted rondelles. 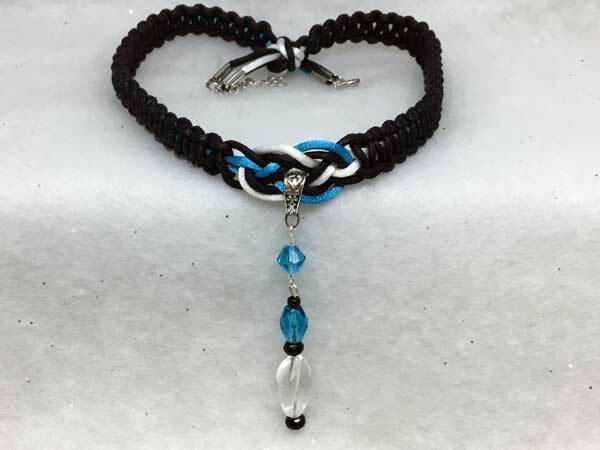 It is topped with a gorgeous, fully-faceted turquoise oval and black seed.